Looking for kids activities and things to do with your family in the Twin Cities? Check out our upcoming events and activities to plan a family outing to The Works Museum. Join us for monthly Explore It! Saturdays to make a special project or explore a specific theme with visiting partner organizations. Learn about upcoming drop-in activity days for 2018-2019. Get ready to Explore It! Our signature events are the biggest days of the year in the Museum. Featuring all sorts of hands-on activities and demonstrations with our corporate, education, and non-profit partners, our events bring engineering and STEM to life in a uniquely kid-friendly way. 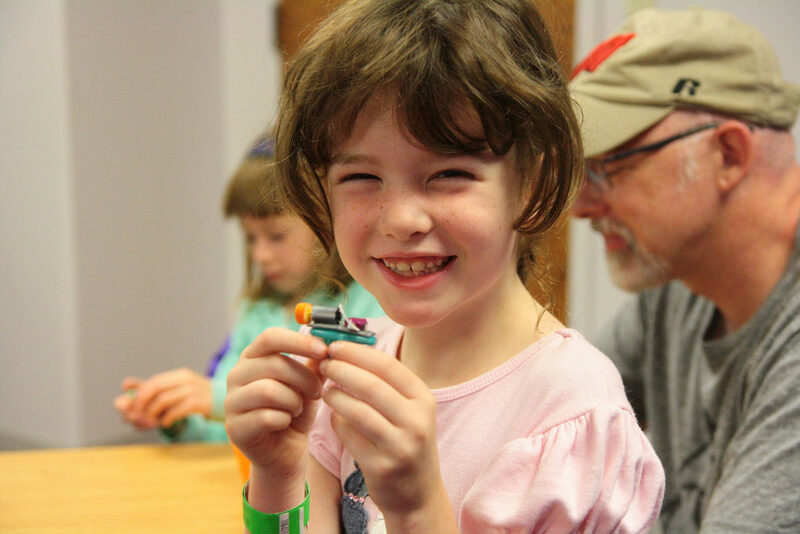 Developed for kids ages 4-13 and their grown-ups, each event digs into a specific area of STEM. Pack up your family and come spend a day with us. Learn what it means to be an engineer at this very special event for girls and their families. Learn what it means to be an engineer and explore engineering experiences with girls in middle school, high school, universities, and beyond at this very special event for girls and their families. Admission is $12, free for members. 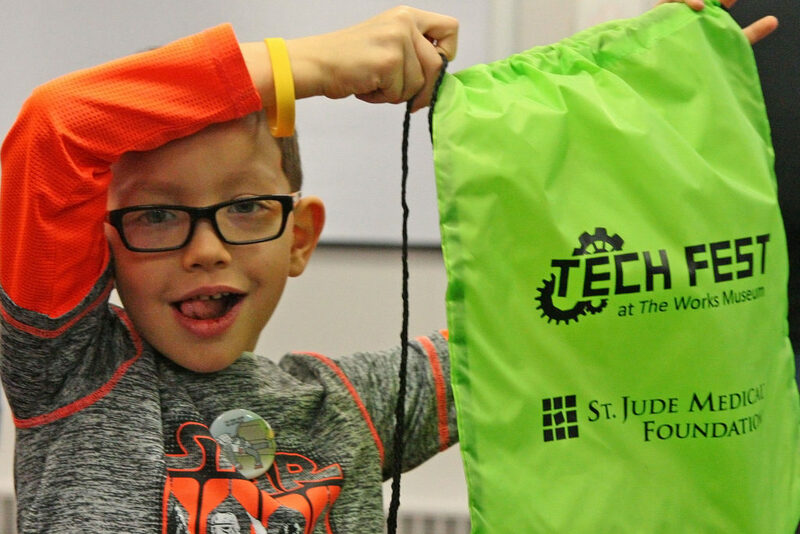 Experience a wide variety of technology and STEM at Tech Fest, our family engineering & technology fair. We’re always about the “E” in STEM – engineering! Experience a wide variety of technology and STEM at Tech Fest, our family engineering & technology fair celebrating National Engineers Week. Live demos by scientists and engineers, hand-on projects, family activities, and more! It’s our biggest event of the year. Admission is $12, free for members. Explore robotics on Robot Day, our annual celebration of National Robotics Week. Explore robotics on Robot Day, our annual celebration of National Robotics Week. 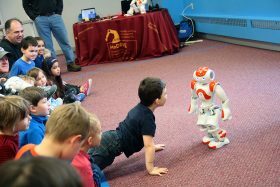 Meet robots of all shapes and sizes, built and programmed by kids and teens, see demos from robotics experts at universities, learn about robots used in local industry, and experiment with kid-friendly robotics! Admission is $12, free for members. Are you hanging with the 3-5-year-old set? Our Pre K Mondays are just for you. With half-price admission for kids and a special activities created just for the youngest engineers, it’s a great time to explore the Museum. Learn more about Pre K Mondays and our other Pre K programs. Okay, so you know your child enjoys engineering, design, or other STEM subjects. What’s next? Our summer and school break camps and event days offer opportunities to dig deeper into topics. You can also check out these resources from our partners and other organizations. Hear from us, hear from our friends, and learn about all the great things we’re doing at The Works.